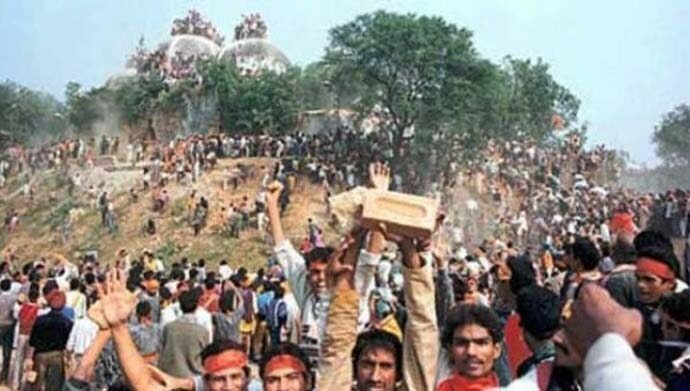 There is an intense debate going on in the Wahhabi community — better known as the orthodox section of Muslims, as opposed to the moderate Sufis of the Barelvi school — as to whether the Ram temple should be allowed at the disputed site in Ayodhya or not. A faction led by Salman Husseini Nadwi, radical cleric of the Lucknow-based Nadwa school that follows Wahhabi tenets, has surprisingly taken a soft line on the issue — the faction has advocated that Muslims should allow the temple to be built at the spot, in the greater interests of peace and harmony. Yet, in 2014, Nadwi had congratulated the ISIS founder Aby Bakr Al-Baghdadi on the establishment of the Islamic Caliphate in Iraq-Syria. This was before he condemned ISIS for its un-Islamic and anti-human activities, ostensibly under pressure from fellow Wahhabi preachers. Nadwi is a relative of Ali Mian, alias Abul Hasan Ali Hasani Nadwi (who was honoured with the King Faisal International Prize by Saudi Arabia for his services to Wahhabi Islam), a famous Islamic cleric and head of the Nadwa Madrasa in Lucknow. Nadwi is apparently also in close touch with Sri Sri Ravishankar, the spiritual guru of the Art of Living community, who is trying for a negotiated settlement on the Ram Temple issue for many years now. Nadwi has been propagating his thought within the Wahhabi faction by holding meetings and releasing audio-recorded messages on WhatsApp. However, other factions of Wahhabi leaders, which has All India Muslim Personal Law Board (AIMPLB) members like Zafaryab Jilani, Kamal Farooqi and SQR Ilyas among others, oppose the negotiated settlement. The opposition is apparently on the grounds that legally, the spot belongs to Sunni Muslims and conceding it would mean defeat for Muslims and it would whet the appetite of aggressive Hindus for making more such demands. Interestingly, the pro-Temple Muslim faction is deriving its voice from the famous Treaty of Hudaybiyyah. The treaty is said to have been signed between the Holy Prophet Mohammed in 628 AD and the idol-worshipping Quraish tribe of Mecca, which was preventing the Prophet and his followers (based in Medina) from completing their pilgrimage of the Kaaba in Mecca. The tribe was also opposing the Muslims led by the Prophet. While the Prophet’s followers were in favour of waging a war against the people of Mecca, the Prophet was inclined towards peace. It could have been for strategic reasons including the benefit of the future spread of Islam. The Prophet then opted for a 10-year treaty with the people of Mecca, giving the Quraish tribe easy terms, which apparently some of the Prophet's followers didn’t like initially. After the treaty was signed, the people of Mecca recognised Prophet Mohammed’s rule over Medina, and the right of the Muslims to do pilgrimage at Mecca. The treaty is very elaborately explained by Ali Mian Nadwi in a four-page article that was recently carried by the publication The Fragrance of the East, a mouthpiece of Nadwa Madrasaa. The strategy based on the Hudaybiyyah treaty worked for the Muslims. When the Jews attacked the Islamic army under Prophet Mohammed in the period after the treaty, the people of Mecca did not offer support to the Jews, as they had done earlier. The weakened Jews were defeated. Within a few years of the treaty, the people of Mecca themselves accepted Islam against the military might of the Muslims led by the Prophet. After 9/11, General Musharraf justified Pakistan’s joining the US-led coalition in the name of the Hudaybiyyah treaty. After 9/11, US President George Bush addressed the world— particularly Pakistan — and presented the choice, saying, “In the war against terror, either you are against us or with us” — implying that there was no middle path. A shaken Gen Musharraf had then resorted to speaking about the Treaty of Hudaybiyyah in his address to the Pakistanis, justifying his move to join the US-led coalition against terror. He had reportedly said that even the Prophet had to sign the Hudaybiyyah when he was under pressure and that Musharraf was doing the same for the future benefit of Pakistan and Islam. The treaty was also the justification offered by Yasser Arafat to explain his truce with Israel. When Yasser Arafat signed the Palestine Liberation Organisation’s (PLO) peace accord with Israel in Oslo in 1993, he also tried to justify his actions by citing the precedent of the Treaty of Hudaybiyyah. In both cases, Musharraf and Arafat tried the same tactic — a clandestine message to Muslims, which was unintelligible for non-Muslims. In the same message, he apparently also gives an example from Islamic history as to how a premier mosque in the Middle East was shifted in order to make way for people-friendly developmental work. After Nadwi, another important Muslim to openly suggest the Hudaybiyyah route to solving the Ram Temple tangle is former Kerala high court judge, Justice PK Shamsuddin. In an interview to DNA newspaper, he suggested that even if the Muslims win a court case on the Ram Temple, they should give up the place for lasting peace between two communities. He added that they should accept a separate chunk of land being allotted near the temple for the construction of the mosque, with Hindus promising to respect the status of all other Muslim religious properties in future. The fund for the new mosque should come from the government, he suggested. “The Prophet himself acted in a similar manner in the treaty of Hudaybiyyah,” he reportedly mentioned. Many Muslim scholars propagate the Treaty of Hudabiyyah as Islam's committments to permanent peace. But this is contested by a large number of non-Islamic scholars of Islam who see it as a strategic retreat and only a committment to peace as part of its path of spreading Islam. In our context, the Ayodhya tangle might certainly see a resolution in times to come. But with references such as these, the real commitment of some Muslim leaders to 'secularism' will remain puzzling to me. The writer is deputy editor, India Today.